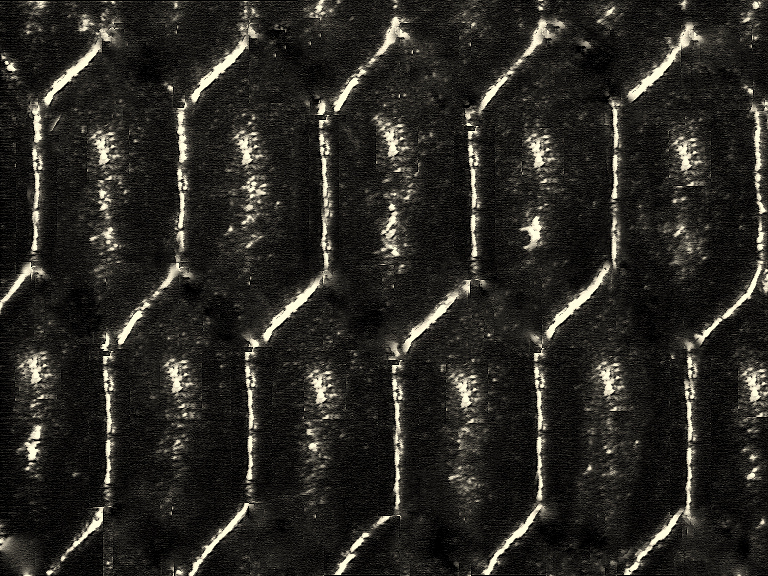 The concept of using channel engravings to improve ink transfer efficiency is not a new one. Channels have been used for many years as an effective means of increasing the ink flow within the Anilox improving transfer efficiency. However ink film consistency and uniformity was always more difficult to control in conventional channel engravings. The real challenge is to design a channel that can effectively control the volume of ink transferred as well as maximize ink evacuation from the Anilox. MaxFlo+ has accomplished both. MaxFlo+ is a channel engraving that radically improves the ink flow within the Anilox engraved structure. There is no individual closed-up cells but a continuous cell structure which has 50% less land area than 60° conventional engravings. This offers a more efficient and finer ink distribution to the plate. More ink surface area is in contact with the plate which maximizes its inking in a more uniformed way. Engraving depth is shallower than conventional closed -cell engravings which greatly improves ink evacuation from the Anilox. The channel provides a constant flow of ink to the plate. No air is trapped as the roll surface re-enters the blade chamber to be re-inked. The channel gives the air and ink an escape route; this results in less agitation of the ink and reduction of foaming. A more consistent, smoother and pin-hole free lay down of ink is delivered. With closed-cell configuration air gets trapped with every rotation causing turbulence within the ink. 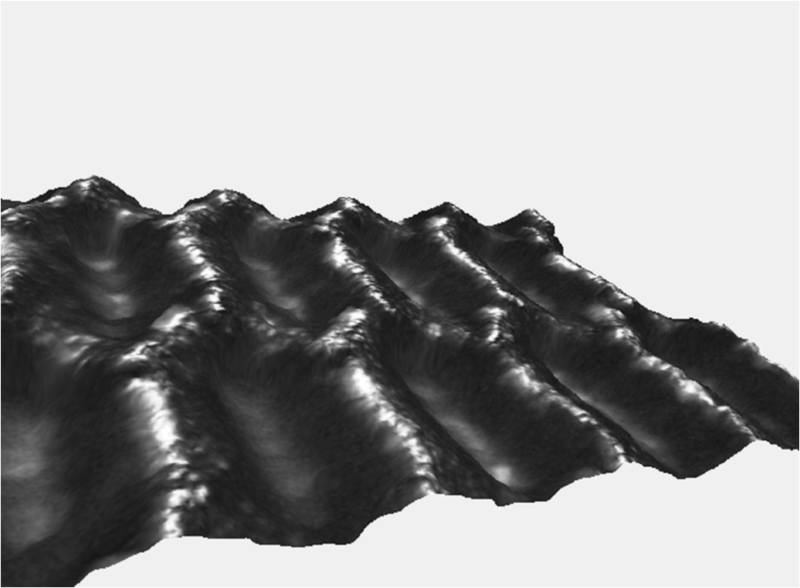 This turbulence causes micro foaming and uneven laydown of ink to the plate and substrate. Micro foaming will be seen as pin holing in the print. With MaxFlo+ the ink constantly flows through the Anilox cell structure with less agitation and aeration. Tests have demonstrated that ink transfer is vastly improved by as much as 30% compared to 60 degrees hexagonal engravings. Customers are reporting an average increase in colour densities of up to 10% compared to conventional engravings. Uniformity of coverage, reduction of pin holing and smooth and cleaner vignettes perfectly fading out to zero are other reported benefits of MaxFlo+. The secret of the superior ink densities achieved with MaxFlo+ lies in the smoothness of the ink distribution and the absence of voids which is the main factor that reduces measured ink density. Because of improved ink transfer the Anilox screen counts are higher which increases image definition and sharpness. 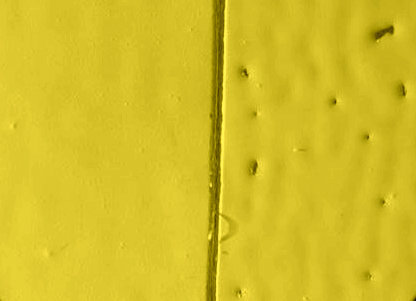 Cell openings are smaller which more efficiently support the high light dots preventing dot dipping and delivering outstanding image fidelity and clarity. 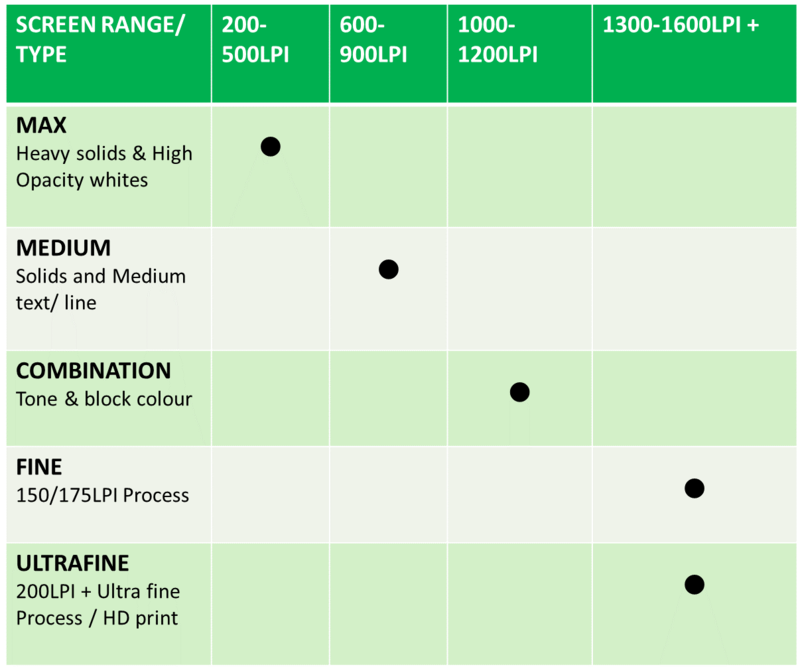 Increased ink flow within the Anilox greatly reduces known plate ink starvation offering a much more uniformed ink coverage at higher speeds without loss of colour density. Because each individual cell is linked, the design avoids the uneven transfer sometimes encountered when using straight cut channels. Ink reticulation is slowed and held in reservoirs ensuring a consistent ink transfer at any speed without colour drop-off. Higher ink transfer efficiency from Anilox to plate allows print production with low pressure ensuring consistent quality in every run from start to finish which is critical when adopting fixed palette or HD flexographic techniques. One of the main advantages of MaxFlo+ is its versatility. Higher ink release at high line counts increases the Anilox adaptability of covering more print applications with one specification. 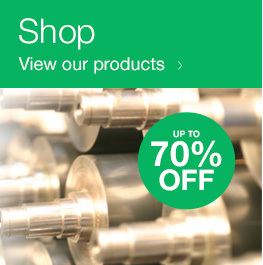 Anilox inventory is significantly reduced, making Anilox standardization and streamlining of the printing process easier. 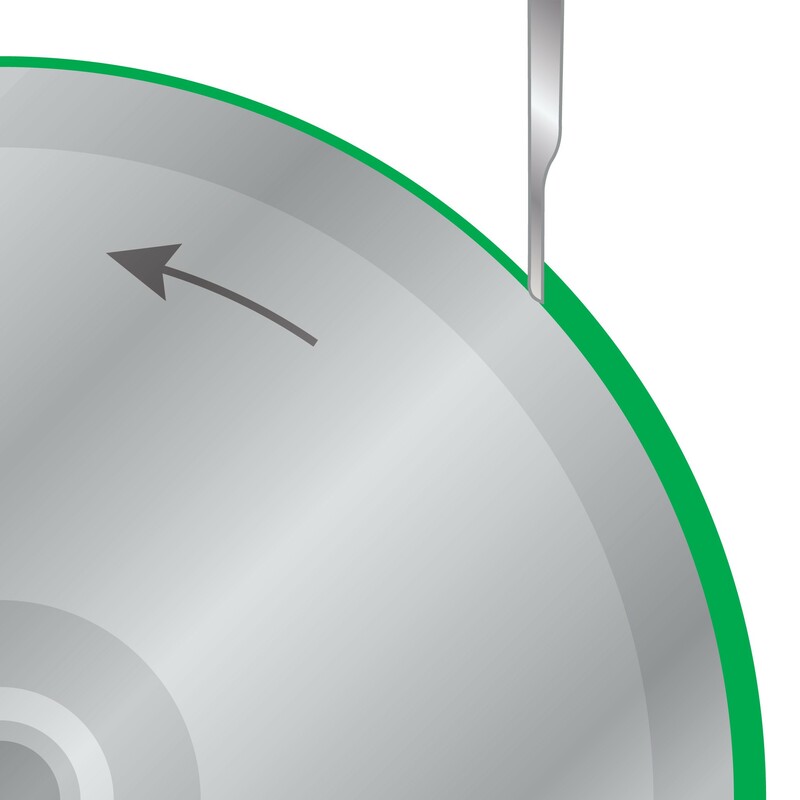 Fewer Anilox specifications means reduced make-ready times and changeovers which will bring significant cost savings in ink and doctor blades. 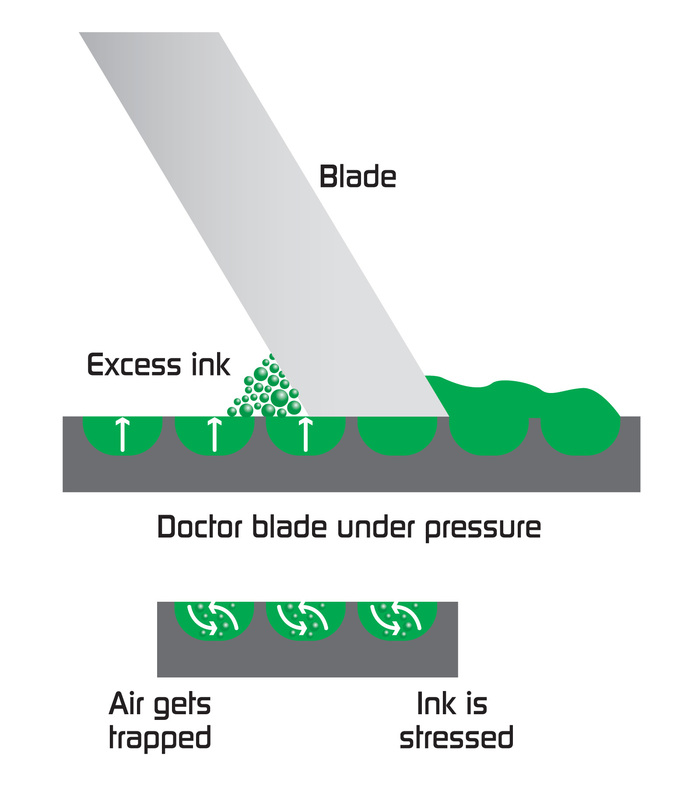 Improved ink flow reduces ink build up behind the doctor blade which causes the blade to lift causing spitting. 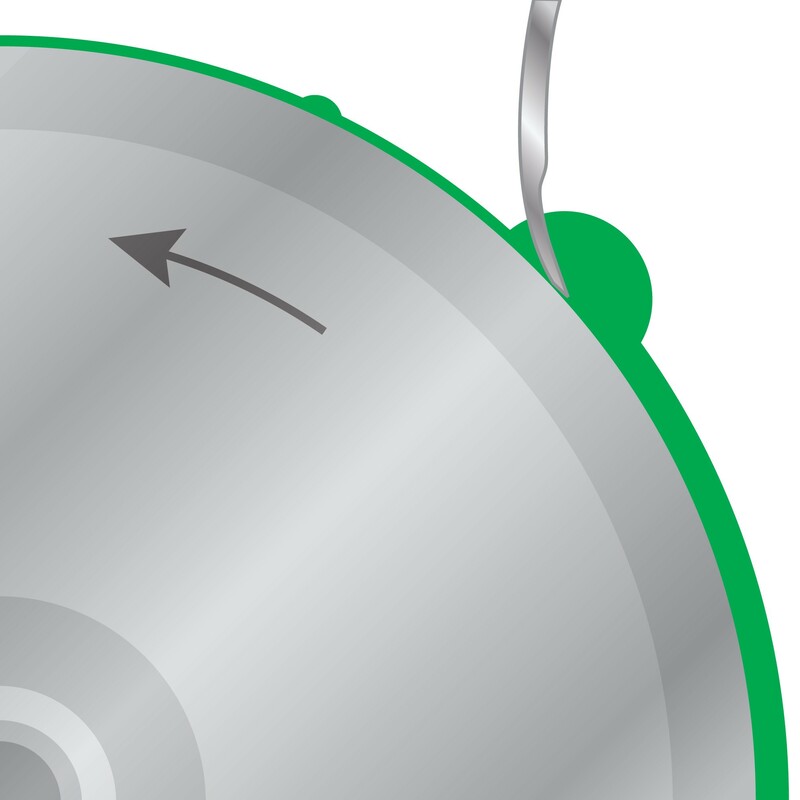 As the excess ink hydroplanes and builds up behind the blade, the blade start to flex. This allows ink to pass underneath the blade and transfer to the plate and substrate. 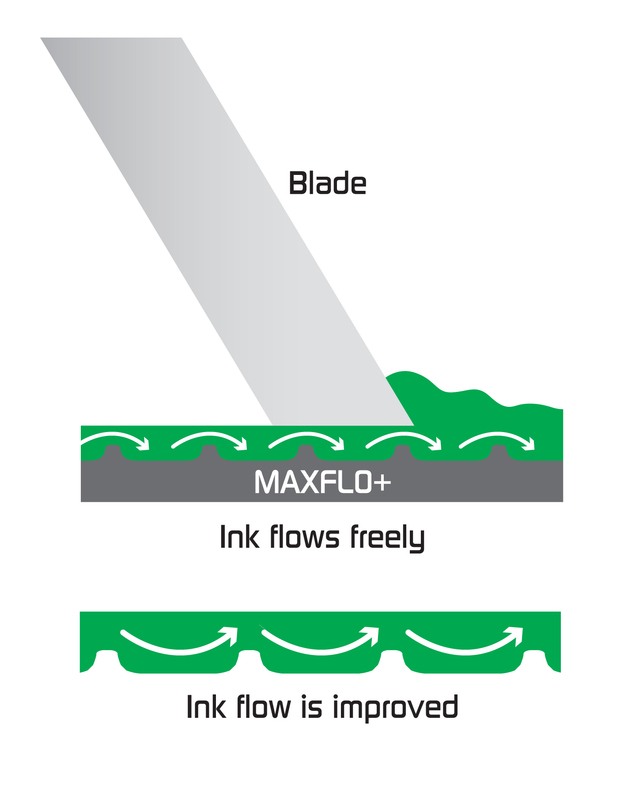 With MaxFlo+ the ink build up is reduced as the ink can freely flow through the channel as the roller rotates, eliminating the pressure to the blade. The cleaning characteristics of MaxFlo+ along with our SealTec® treatment are proven to be superior to conventional engravings. Its shallower engraving depth and open channel structure makes the cleaning easier and faster as there are no deep or narrow cell bottoms to trap ink or coatings.